Since its establishment, Country Garden is dedicated in property development and has created its unique business model with core competitiveness. Aiming at lowering the cost, the Group adopts integrated business structure covering design, construction and property development etc. Coupled with its high-quality products and gardening environment, comprehensive supporting facilities, national first class property management services etc., the Group provides a huge supply of high value-to-price products to its regional markets. Bearing the motives of “To create a better society with our existence” and “To shape a prosperous future through our conscience and social responsibility”, Country Garden and its founder are dedicated to charitable activities with aggregate donations over RMB1.3 billion and actively contribute for the development of a harmonious society. 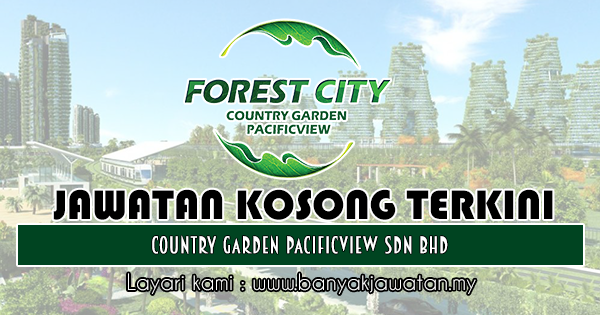 0 Response to "Jawatan Kosong di Country Garden Pacificview Sdn Bhd - 13 Mac 2019"